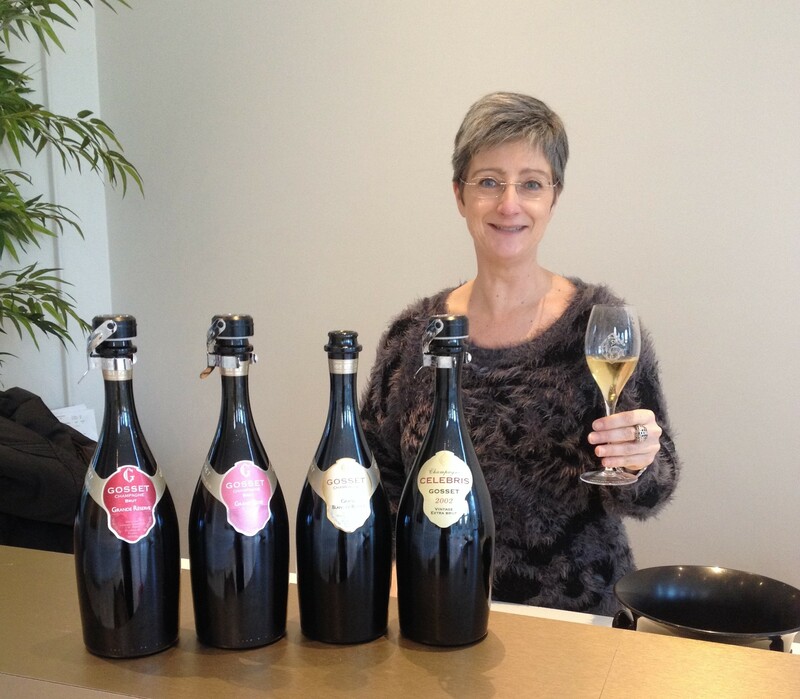 The final appointment for the 48 hours I spent in Épernay was to Champagne Gosset in rue Godart Roger with the absolutely lovely Nathalie Dufour, Export Sales Administrator. Despite Nathalie’s best efforts and although the sun was shining I couldn’t bring myself to part with my jacket as we set off for a tour around the facilities – it was a true winter’s day! 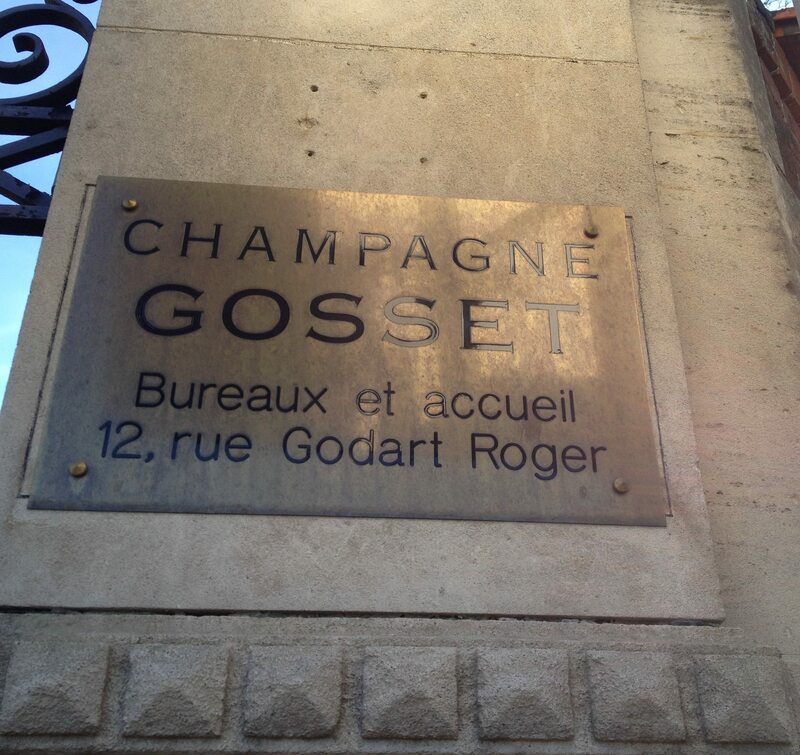 Champagne Gosset is the oldest Champagne House in the region. Founded in 1584 in Aÿ the company still uses the location to store wines. 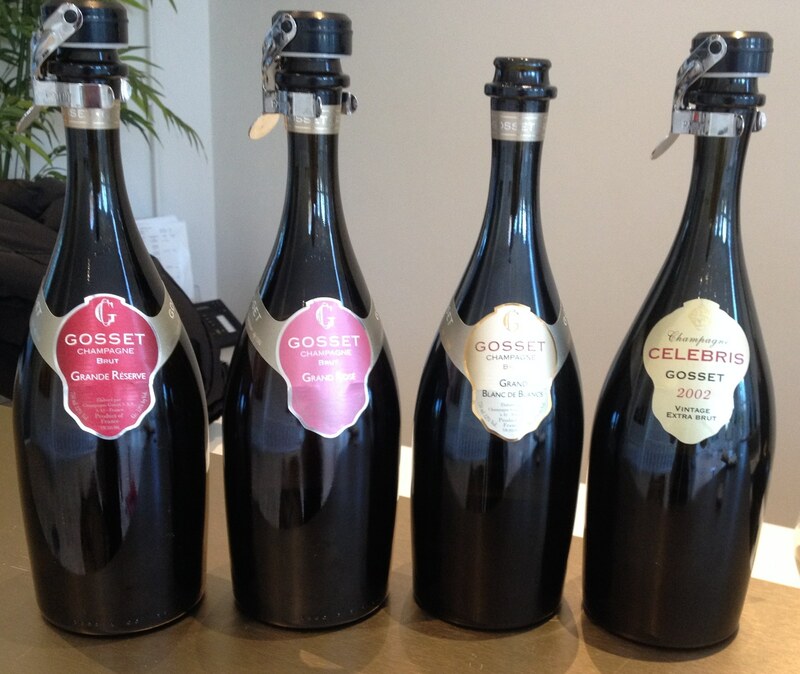 In 1994 the business became part of the Renaud-Cointreau group and under this group, Gosset has increased production from 400,000 bottles per year to 1 million. Export markets have increased similarly from 25% of the production in 1994 to accounting for 60-65% of production. Such an increase in production required a new location and in 2009 the current location on rue Godart Roger was identified and the majority of production and administrative operations were moved from Aÿ to Épernay. As with Bessert de Bellefon, contracts with growers are crucial to the production of champagne for Gosset. The house has many long-standing contracts spanning generations and together, over time, both parties have developed a model of working together that produces the best possible product. With this in mind, the growers manage their vines as they see best with Gosset managing the logistics of collection and delivery to the winery, ensuring the grapes are pressed as soon as possible after harvest. All villages are delivered and processed separately with the majority of Chardonnay coming from sites in the Cotes de Blanc. The dates by which the growers are permitted to harvest the grapes under the Comité Interprofessionnel du vin de Champagne (CIVC) regulations are published in the local newspaper. The picking dates are identified through analysis of samples submitted to the CIVC by growers in each district starting from veraison or when the grapes begin to ripen. Growers may request an alternate harvest date but this must be done through a formal application to the CIVC – quite a different produce to harvest in countries such as Australia and New Zealand where the grape growers will work with the winemakers to make their own individual decision as to when is best to harvest the grapes. As we move through the facilities Nathalie explains that the first fermentation to produce the still wines usually takes two weeks but this year (2013) had been so cold it took three weeks to complete at a temperature of 18 degrees Celsius. 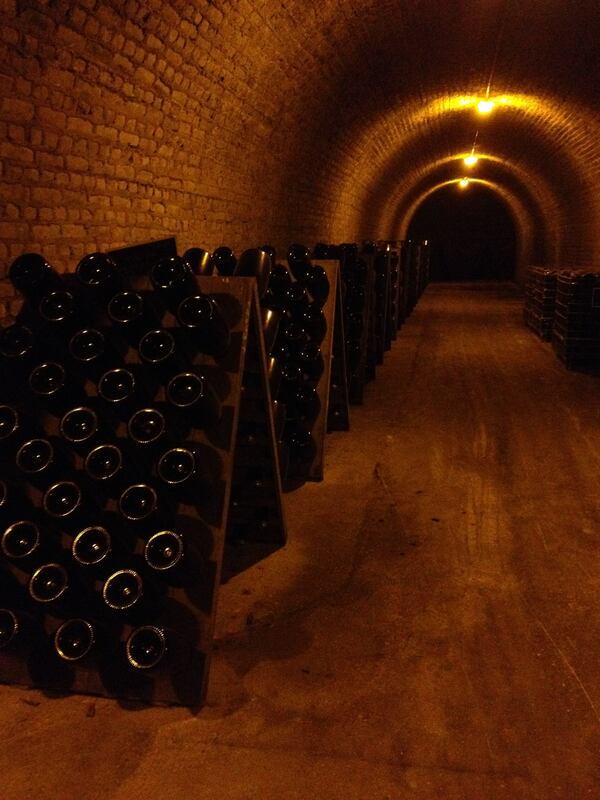 The second fermentation is a longer process at a lower temperature – 11 degrees Celsius – with the slower fermentations producing finer bubbles in the champagne. The Gosset style is to block malolactic fermentation (MLF) as is also the case for Besserat de Bellefon which I covered in an earlier article. The exception to that is the NV Brut Excellence where during the last three years the amount of wine that has undergone MLF and has been included in the blend for this particular champagne has increased. To ensure there is no cross contamination with the lactic bacteria used for malolactic fermentation the wines that will undergo MLF for the Brut Excellence are processed in a separate location from those where the conversion will be blocked. 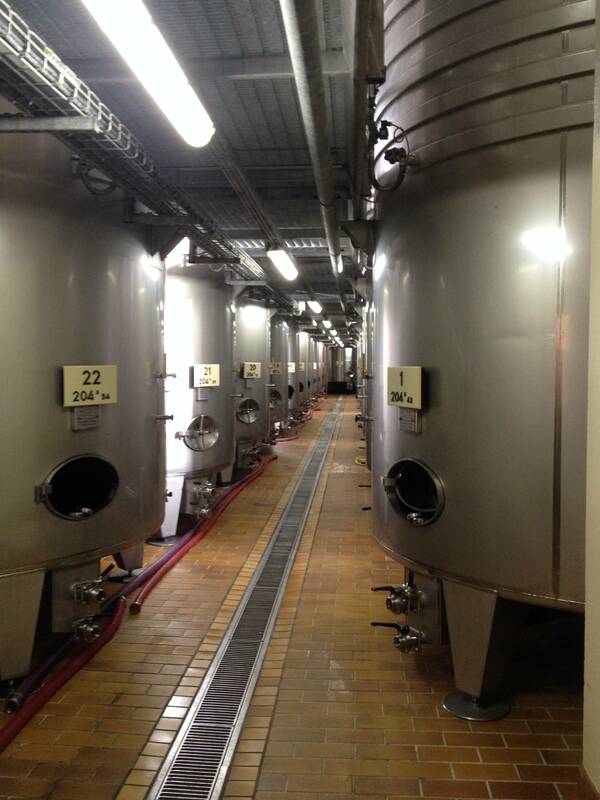 During January 2014 the blending trials took place and this is where the still wines are tasted blind, usually multiple times, before the blends are selected. The cellarmaster, Jean-Pierre Mareigner, will create samples of potential blends which will then be tasted by a number of key people within the company including the CEO and the assistant to the cellarmaster. After touring through the caves we arrived back at the tasting room to be greeted by a lovely line up – my only regret being that the taxi taking me to the train station arrived dead on time and I didn’t spend as much time as I would have liked savouring the absolutely delicious Celebris 2002. As my last appointment in the region I couldn’t have wished for a more knowledgeable and thoroughly delightful host in Nathalie Dufour. I must admit the train ride back to Paris and then on to London flew by as I savoured all the memories of my first trip to Épernay and I certainly hope it won’t be my last! Very perfumed, delicate white flowers, apples and pears. On the palate flavours of baked golden delicious apples, honey, almonds, poached pear. Aromas of red fruits and yellow peach. As it opened the almond notes came to the fore. On the palate delicate flavours of fresh red fruits, peach, subtlest hint of almonds, finish of cherries and raspberries. Aromas of almond, peach, honeysuckle and sautéed mushrooms. These delicious aromas followed through on the palate but sadly were not savoured due to an over eager taxi driver arriving to deliver me to the train station (sad face!). An excellent way to wrap up a fabulous trip!